Debt is the capital a businessperson borrows from an outside source and agrees to return within a specific period along with a specific proportion of interest. Debt has many bad and negative effects on business but, as a matter of fact, most start-up businesses have to borrow finances in order to begin operation. Even well-established business setups have taken debts. The most common source of debt is banks, other companies, friends, and family. The term “Leverage” is also used for debt. Companies need to borrow money while making huge purchases like equipment and heavy machinery, etc. Debt is the real killer of a company. It is a tiger that will your company one day if you are not getting rid of it. The reputation of your company is ruined, suppliers don’t supply you on credit, you may not be able to offer salary increments, bonuses and insurance and an overall drastic effect on the business finances can quickly take place if you aren’t careful. Whenever a company needs to make large purchases, start new ventures, or take steps for marketing, a huge amount of finances is required to support these operations. The company may find it easy to borrow money from any of the available resources. This practice is known as “Levering up”. Just lending money to fulfill financial needs is not a good practice because the loan will badly affect the credit rating of your company. Every time you lend money, it is noted in the credit report of the company. The greater the debt, the more the risk. Lenders don’t lend money easily because of your previously unpaid loans and you have to borrow money on greater interest rates than the previous ones on every following loan. And, there will come a time when all of your profit and income is being utilized only to pay interest and debts. The company will vanish if you do not have control of debt. Repayment is a term often used in business. It means paying back loans periodically with interest. When you take the loan from a lender on certain agreed terms and conditions, then repayment becomes your sole-responsibility. Your company is not gaining profits and likely not achieving goals. Even if the company fails, you have to make repayments on time. Whatever the circumstances, your company is facing lenders that will forcefully declare your company bankrupt if it fails to make repayments. All assets of the company are used to pay debts by legal proceedings. A company’s credit rating is drastically affected and, soon, the declination of the company is at its peak. The higher the interest rates are at which you are borrowing money, the greater the risk will be which will mean bad implications for your business. 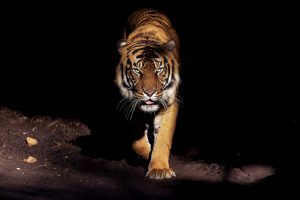 The bigger is the tiger running after your company to hunt. Debt has a negative effect on the human resources of a company as it is unable to facilitate and retain employees by incentives. It cannot offer a salary raise, bonuses, or insurance which results in numerous resignations of experienced employees. This also earns a bad name for the company in the market leaving your company all alone in the sea of debt. The older and more mature the debt becomes, the more difficult it will be to handle. The older the history of debt in your bookkeeping, the more stressful situation it will be. When there is an increase in leverage, the company may try to cut down costs by compromising on the quality of products or services delivered. This lower standard decreases your customers and ultimately results in less income. Debt cannot be good for a company. At all costs, companies should have minimum debts to ensure the growth and prosperity of the business.